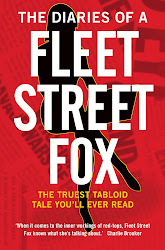 fleet street fox: A total helmet. MAKE the most of the next few days. For now, things will be almost as normal. Middle-aged men will have middle-aged spread, the roads (apart from London) will be as they usually are, and it may or may not rain. But come the weekend all that will change. On Monday morning, all over the land, middle-aged spread will be sucked unhappily into skin-tight Lycra as the middle-aged men wheel unsteadily out on bicycles that have cost more than the family car. They will take to the roads in their thousands for the morning commute, throwing themselves recklessly in front of delivery vans and 12-wheel trucks in the belief that the wraparound glasses they spent £300 on will protect them from grisly, wet, and smeary death. They will zip through red lights, bunny hop (with some effort) over pavements, and swerve around pushchairs while perspiringly telling themselves that pedalling furiously on razor-thin wheels is not just the only way they can stay upright, but a guaranteed way even the not-so-beautiful can become ruthlessly attractive. But none of them will be Bradley Wiggins, most of them will be as out of puff as a magic dragon fresh out of rehab, and even if they were Bradley Wiggins they'd still get knocked off their bikes. He said after his gold medal win yesterday: "London has got a lot busier since I was riding a bike as a kid around here. I was knocked off several times." 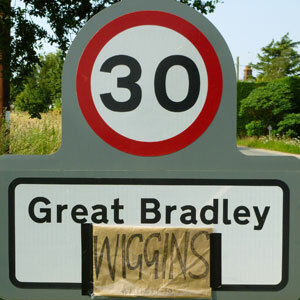 If the British athlete with most Olympic medals ever gets knocked off his bike, then the middle-aged Wiggo fan who takes to two wheels after a trip to the cycle shop on Saturday has little hope of being immune from kissing the front end of a bus. Cyclists who regularly use busy roads in towns and cities can be very chippy about their chosen method of transport, and there are plenty of drivers with an equally scathing attitude about the zippy little sods who don't pay any road tax. But as Wiggo says - and let's face it, no-one's going to argue with him for the next 10 years or so - "I think we have to help ourselves sometimes... they have to all co-exist on the roads. Cyclist are never going to go away however much drivers moan, and as much as cyclists might moan about certain drivers, they are never going to go away. There has to be a bit of give-and-take... there are some cyclists who don't help themselves". And after a cyclist was killed in an argument with a bus yesterday, our new king of the road pointed out the bleeding obvious which is that cyclists should not be plugged into phones or listening to music, they should have working lights and - shock! - they ought to wear helmets if they don't want to die. You'd think cyclists would be glad they had a high-profile representative making public utterances which might embarrass the government into a long-overdue look at cycling and traffic laws, wouldn't you? Someone called Chris Peck from the national cycling charity CTC - who ironically, appears to be a total helmet - has said, in all seriousness, that making people wear protective headgear would be unhealthy. Mr Prick's argument is that making it a legal requirement to wear a helmet would "stifle cycling" and that as a result less people would do it, having an adverse affect on general public health. He said: "Making cycle helmets compulsory would be likely to have an overall damaging effect on public health, since the health benefits of cycling massively outweigh the risks and we know that where enforced, helmet laws tend to lead to an immediate reduction in cycling." The scientific basis for Mr Peckerhead's claim is that in countries where people cycle more, they tend not to wear helmets. In countries where they wear helmets more, they cycle less. He does not appear to have worked out there is a possibility that the reason people cycle less and wear helmets more may in both cases be linked to the fact they're more likely to be squished, rather than that the wearing of helmets may be what's putting them off. Mr Prat elsewhere suggests that 60 road deaths a year of cyclists is an acceptable risk when compared to the number of deaths caused by his idea of not cycling - 'physical inactivity'. And he says that to cut that number we should instead reduce the number of cars on the road, speeding, and "the risks that heavy vehicles pose". Righty-ho. Except you're not going to make most car drivers cycle when it's raining, or cold, or busy, cyclists speed a hell of a lot more than cars in urban areas and I'm not sure how we're going to make heavy vehicles less big and heavy. Or are we supposed to build lorries out of cushions? I cycle and drive around London, and they're both less than perfect experiences. There are vehicles that get too close, where the drivers don't pay attention, where blind spots mean a bus turns left in front of you and if you're not careful you go head-first into the side. 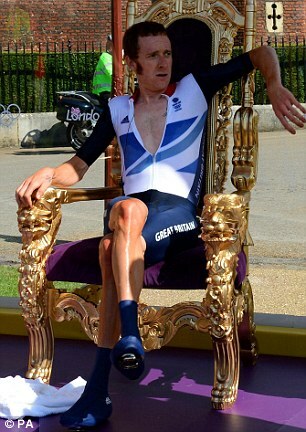 But cyclists aren't some kind of morally-superior physical being, whatever we might think of Bradley Wiggins. A friend of mine was knocked down on a pedestrian crossing by a twit doing more than 30mph through a set of red lights, and had a near-fatal serious head injury. And several times a cyclist who has ignored lights, signs or other rules has ended up sprawled across my bonnet through no fault of mine. Each time it happened it was terrifying. I don't want a cyclist to kill themselves on my car any more than I want to intentionally mow one down, but it sometimes seems like I may not have any choice in the matter. Seeing as cycling is about to have a massive burst in popularity it seems unlikely a few new rules about road safety would put much of a dampener on it. Helmets generally don't kill people as often as not wearing them does, so they're probably a good idea. And it would likewise not do much harm to reheat the old Cycling Proficiency Test, the 1947-designed parade of wobbly arm-waving around the school playground in a fluorescent jacket which lots of us took as children but which any adult who walks into a cycling shop does not have to prove they can remember. It's been rebranded but is not compulsory and it can't be unrelated to those twits Wiggo complains of who race over pedestrian crossings while listening to their iPod and doing 35mph without lights, bell, or helmet, and wearing black Lycra because they think looking cool is more important than being spotted by the car in front which they haven't noticed is indicating left. Perhaps rather than moan about Sir Wiggo's perfectly-sensible opinions the national cycling charity could be as glad as the rest of us are that someone is finally famous for doing something brilliant and knowing his stuff, which is as good a reason as any to pay him some attention. And if you think 'physical inactivity' might kill you and worry cycling could do exactly the same but can't be bothered to do it safely, then maybe spend the weekend growing some sideburns and setting up a zip wire in the back garden where middle-aged men are apparently in their element. Wear a helmet, but don't be one. Zip Me Up Before You Bo Jo.